Photo from the Arkansas Department of Education’s Facebook page. Special education bus driver for Drew Central School District in Arkansas, Julie Callison, keeps a bucket of books in the front of her bus for kids to read on their routes, reported Tucson.com. The Arkansas Department of Education posted on Facebook that Callison added a bucket of books on her route to help encourage students to read. 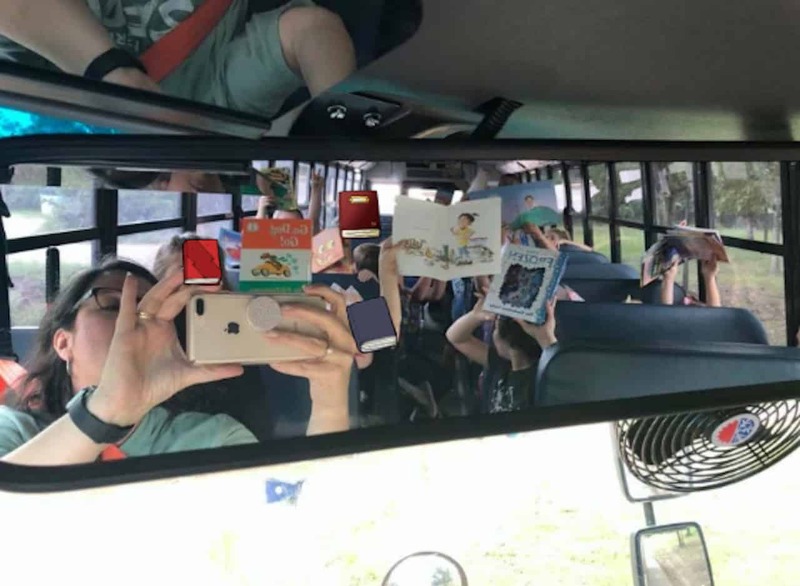 The post also features a photo taken in the school bus mirror of her students holding their books up. According to the article, the Facebook Post went viral, and people commented on the photograph, hoping this is implemented at their children’s schools. Also commented was that Scholastic Book Fairs loved the story and hopes the idea catches on all over the country.